The Oral History Project at the NMU Archives involves identifying and digitizing important interviews on cassette tapes for preservation. 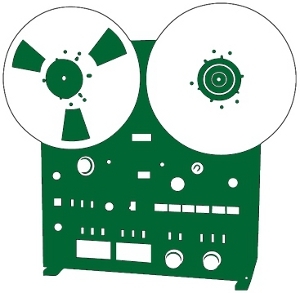 Simultaneously, these audio files are being entered into a cataloguing site linked to the Lydia Olson Library, giving researchers the ability to listen to the tapes in the comfort of their own homes. Materials in this digital collection have been made publicly available as an educational resource. Unpublished manuscripts are protected by copyright. Permission to publish, quote, or reproduce materials must be secured from the repository and the copyright holder when usage does not fall under Fair Use copyright law. (17 U.S.C. 107). Information regarding Northern Michigan University's Intellectual Property Policy can be found through the Human Resources department website. Additional information about copyright law can also be located onsite or online at the Lydia M. Olson Library. The Lecture Series was established by the Board of Control on July 6, 1978 to enhance the quality of life of Northern and to contribute to the development of the University as an educational and social institution of greater stature and leadership. This was based on a donation of $300,000 by John and Marge McGoff. Speakers, including Alexander Ginzburg, Ansel Adams, and Gerald Ford, were internationally famous and brought to NMU for speeches, discussions, and other activities. In early 1988, due to some of the controversy surrounding John McGoff and the funding, Elie Wiesel withdrew his acceptance of an invitation, and McGoff requested that the lecture series be ended a few weeks later. The Oral History Collection also contains many of the Commencement speeches from the past (1977-1988), including speakers such as university president Edgar L. Harden, Senator William Foust, and Greek Ambassador Ioannis Georgakis. During the period between 1982 and 1985, the Center for Oral History at Northern Michigan University (defunct), with the assistance of financial grants of money from the Paisano Club of Upper Michigan, Northern Michigan University, and the Michigan Council for the Humanities sponsored a project dealing with Italian immigration into Upper Michigan, also known as the Upper Peninsula. Directed by Dr. Russell M. Magnaghi, the project interviewed over 150 individuals with a variety of backgrounds. These interviews comprise an unused archive which offers insight into the immigrant experience. The project visited every Italian-American community in Upper Michigan, neighboring Wisconsin, and Ontario. A large collection of oral histories from the Copper Country (in the Upper Peninsula of Michigan) and northeastern Minnesota were recorded in the 1970's by staff and students of Suomi College, now Finlandia University. Rev. Dr. Arthur Puotinen led the project and received a grant from the Untied States National Endowment for the Humanities. While there many interviews with Finnish Americans from the Great Lakes Region, the scope of the project also included people from other communities and ethnic groups, and includes clergy, lawmen, doctors, and business leaders such as William Parsons Todd of the Quincy Mining Company. There are approximately 250 hours of transcribed interviews and about 150 hours of non-transcribed interviews. The tapes and transcripts are located at Finlandia University's Finnish-American Historical Archive and Museum in Hancock, Michigan.